Two more states may follow the lead of Rhode Island by imposing tolls (or increased toll rates) on heavy trucks, so as to invest the proceeds in highway improvements that will benefit all highway users. A study under way by Virginia DOT on improvements to I-81 has suggested up to $3 billion worth of improvements, with truck-only tolls as part of the funding package. And in Indiana, Gov. Eric Holcomb is proceeding with a plan to increase truck tolls on the Indiana Toll Road to pay for $1 billion worth of infrastructure improvements. On tolled highways, heavy trucks generally pay toll rates that are three to four times the rate paid by passenger vehicles. That may or may not be enough to cover the full costs of the wear and tear caused by the heaviest vehicles, but the principle that trucks should pay more than cars is long-established. However, Rhode Island’s Rhode Works plan imposes tolls only on heavy trucks to pay for an array of bridge improvements, on both Interstates and non-Interstates. FHWA approved this, under a provision of USC Title 23, Section 129 that permits the replacement of non-tolled bridges on Interstates with tolled bridges. The American Trucking Associations recently filed suit in federal court, on grounds that singling out heavy trucks to pay tolls discriminates against them and is, therefore, an interference with interstate commerce under the Constitution. ATA has not objected to the underlying statute that permits toll-financed replacements for non-tolled Interstate bridges. Virginia DOT has a study under way, as requested by recent state legislation, on possible improvements to I-81, and potential sources of funding. 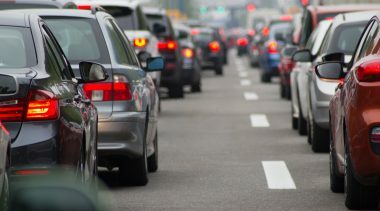 So far, the study has come up with some $3 billion in possible improvements, though surprisingly these include adding a third lane each way on less than 10 percent of this critically important truck route. Up to 40 percent of the traffic on I-81 in Virginia is semi-trucks, and FHWA projections indicate much higher truck traffic over the next 20 years. I-81 is an obvious candidate for dedicated truck lanes along its full length in Virginia. In Reason Foundation’s 2013 Interstate 2.0 study, our analysis of FHWA Freight Analysis Framework data identified I-81 as one of the four multi-state corridors most needing dedicated truck lanes in coming decades (along with I-40, I-70, and I-80). All users of I-81 would benefit from the addition of DTLs, so all should pay tolls to cover the costs of this addition. In its un-wisdom, the Virginia legislature excluded all-vehicle tolling from the scope of the current I-81 study. So in addition to truck-only tolls, the funding sources being looked into are a regional gas tax and a retail sales tax. At the maximum levels being considered, the tolls/gas-tax/sales-tax combination is estimated to generate $370 million per year. What ever happened to users-pay/users-benefit? $20 million to assist Indianapolis International Airport to expand international service. Once again, the principle of users-pay/users-benefit is being seriously breached—and this in the state that has been shaping up as having the most comprehensive approach to toll-financed reconstruction and modernization of its aging Interstate highways. Toll revenues should be used to provide improved highway infrastructure for those who pay the tolls. Singling out trucks is bad policy, per se. But it also risks further alienating the trucking industry from the best hope for rebuilding and modernizing the Interstate highway network that they depend on—toll-financed replacement of the original 1950s system. The collapse of one span of the cable-stayed Morandi Bridge in Genoa, Italy, took 43 lives. Much of what has been said and written since the collapse is misleading, so let’s review what is known at this point. A number of media reports have lamented the Italian government’s lack of investment in infrastructure in recent years, which is indeed a problem. But it has nothing to do with the Morandi Bridge collapse. Its maintenance and state of good repair is entirely the responsibility of the concessionaire, Autostrade. (And it is worth noting that when the bridge was designed and built, opening in 1967, Autostrade was a state-owned enterprise, not the current investor-owned company.) The company has spent heavily to maintain the aging bridge, as noted by various infrastructure experts. It had reinforced the cables of span 11 with external steel plates in the 1990s and also the upper portions of the span 10 cables. In May of this year, Autostrade invited bids for a $23 million contract to reinforce the stays on pylons 9 and 10 (which supported the span that collapsed). It was also about to begin work to reinforce those two pylons. Only a detailed investigation can make clear whether its planned upgrades were prudent or negligent in some respect. One of the important benefits of toll concessions is that the concession company has strong incentives to properly maintain the facilities, so that they are attractive enough that customers willingly pay tolls to use them rather than non-tolled alternatives. 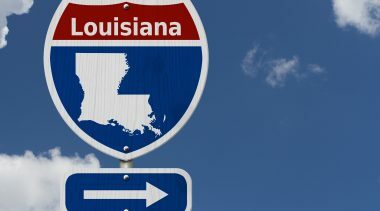 Investors—both bond-buyers and equity providers—depend on toll revenues to be robust enough to provide reliable debt service on their bonds and a return on the equity investments. No such incentives exist in many government-run highway systems, as indicated by the neglect of proper highway maintenance in Italy’s state-run roads and bridges, noted in many of the news reports in the aftermath of the bridge collapse. The last thing Italy needs is a political takeover of what is a better model for highways than politicized funding and management. One of my favorite examples of highway innovation is the A86 tunnels in France, added to the A86 ring road in 2009-2011. For decades, a six-mile missing link existed on this important route, due to understandable opposition from residents and businesses in Versailles, which would have been severely disrupted by a huge motorway. The problem was solved when toll road concession company Cofiroute made an unsolicited proposal to the French government: We will design, build, finance, and operate this missing link as a pair of tunnels, one sized for cars only and the other for trucks and other vehicles. The cars-only tunnel, with a clearance height about the same as in parking structures, allowed three lanes on each of two decks, within a tunnel only about half the diameter of one designed for the same number of lanes using standard clearance heights. The car tunnel opened in 2009, the truck tunnel (one lane each way) in 2011. 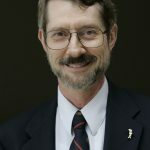 Last decade, UC Irvine transportation economist Ken Small and colleagues authored several papers on the potential of cars-only roadways, suggesting that some existing freeways and arterials could be redesigned with narrower lanes and lower speed limits to serve only light vehicles, thereby adding highway capacity at modest cost. I delivered a paper on the case for some cars-only and some trucks-only facilities at an OECD International Transportation Forum conference in 2009. This prior work has been drawn upon by a retired architect and transport consultant based in Malaysia, Colin MacGillivray. He developed the idea of cars-only underpasses for congested arterial intersections currently operating with either traffic signals or roundabouts. In a few cases, the transportation agency had built a flyover at such locations—of course built to handle all vehicles, which meant supporting the weight of heavy trucks as well as providing “standard” overhead clearances for them. Researching another such intersection needing relief, MacGillivray compared the cost of building a cars-only underpass with another all-vehicles flyover—and persuaded the authorities to try it. I’m pleased to report that the project has been completed, at the Kipali Roundabout in Kuching, and opened to traffic this year. A key selling point was traffic data showing that 95 percent of the vehicles using that intersection were light vehicles. Trucks and buses continue to use the roundabout, which is now much less congested. A key obstacle to implementing either the MacGillivray cars-only concept or our Managed Arterials is the lack of federal or state design standards for reduced-height facilities. Yet the benefits of underpasses like this are considerable. Most express toll lanes are either for light-vehicles-only or for those vehicles plus buses only. So if those types of roadways are legal, why not provide for lane-widths and clearance heights that would make them less costly to build? Colin MacGillivray’s paper, “Cars-only Roads, Tunnels and Underpasses,” IABSE Conference, Kuala Lumpur, April 25-27, 2018; I can provide a copy, on request. Since the advent of electronic toll collection, toll agencies have been pushing for nationwide interoperability. Interoperability allows a toll road user with an account in one state to use that tolling technology on toll roads in a different state. In 2013, the bill that reauthorized federal surface transportation policy and funding, MAP-21, set a deadline of October 2016 for all U.S. electronic tolling systems to be interoperable. It has been almost two years since the deadline and many systems are not interoperable. Along the east coast, Florida’s SunPass, Georgia’s Peachpass and North Carolina’s Quick Pass are interoperable with each other but not with the Northeast’s E-ZPass. Drivers with an E-ZPass can use it on toll roads managed by the Central Florida Expressway Authority but they cannot use it on those managed by the Florida Turnpike. Florida drivers, meanwhile, cannot use their SunPass on any roads in the Northeast. To be fair, there are scores of toll authorities. Many use different equipment readers. For nationwide interoperability, each toll agency needs to be able to read all the others’ transponders. 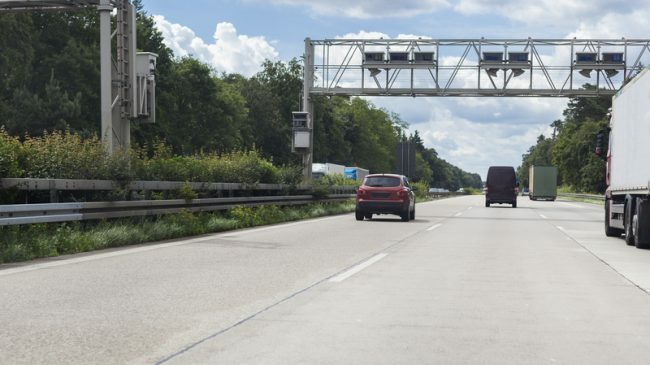 Since the states have been unable to agree on a single technology, each tolling agency will typically have to read the equipment of three to four other agencies. Florida is working on a technology that can read every transponder, but it is still in the testing phase. And not only do we lack nationwide interoperability, many of the E-ZPass states are not truly interoperable with other E-ZPass states. 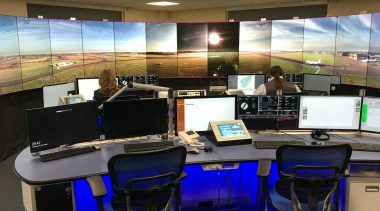 As I found out on a recent trip to the Midwest, the states have very different policies and back-offices that make interoperability a bit of a joke. On a trip from Washington DC to Detroit, I traveled on tolled highways in Pennsylvania and Ohio, and on the westbound trip everything went smoothly. I did not have to stop at any of the tollbooths. However, the trip back to DC was another story. I was able to enter the Ohio Turnpike via the E-ZPass lane but when I tried to exit in the E-ZPass lane, the gate that Ohio uses in its E-ZPass lanes would not go up. Assuming the gate was not working, I backed up and went to a lane with a toll collector. I explained that I had a valid transponder but the collector said my transponder must be invalid. After several minutes of trying to explain how E-ZPass is supposed to work, I gave up and paid the toll with a credit card. My trip through Pennsylvania was uneventful so I assumed the problem was with Ohio’s system. But several weeks later, I received two Pennsylvania violation notices in the mail. I checked my Virginia E-ZPass and found it was working properly. Dumbfounded, I called Virginia E-ZPass to try to determine the problem and received an education in the different E-ZPass rules by state. First, states have different rules on E-ZPass accounts. My home state of Virginia allows accounts to go negative; rather than sending a violation notice, it debits $35.00 from the account holder’s credit card once the balance falls below $10.00. Some other states including Maryland also do this. But certain states including Pennsylvania and Ohio do not allow a negative balance. If an account is negative, they will not debit the credit card but will show the user as a violator. States also have different rules on gates at toll booths. Some don’t have any gates for any lanes; many have gates for customers paying by cash only; Ohio has gates for customers paying by cash or using E-ZPass. There are a number of other policies in which they differ, but the large differences in these two policies show that E-ZPass states are not truly interoperable. One of the most frustrating aspects is the attitude of some state toll agencies. While most try to offer good service, a few seem to offer Soviet-like service. Their approach is that they operate the toll road and if you like the service they operate, that’s good; if you don’t like it, that’s too bad. Many tolling groups, including the International Bridge Tunnel and Turnpike Association (IBTTA) and the Alliance for Tolling Interoperability (ATI) have suggested toll that agencies adopt the model of the user as a customer, but not all agencies are on board. These different operating policies will depress toll road usage. I work in the transportation field, so I understand the complexity of these toll systems. But Joe Regular just wants his E-ZPass to work. And if he is forced to pay with a credit card in Ohio or receives violation notices from Pennsylvania, he may cancel electronic tolling. There are real costs to the agency; sending out toll violation notices takes staff time and resources to confirm the violation. Electronic tolling benefits both the toll agency and the toll road customer. For agencies, electronic tolling reduces costs by eliminating toll collectors and improves safety by eliminating merges near toll plazas. For customers, electronic tolling is more convenient than searching for quarters; many toll agencies also offer discounts for using a transponder. Members of the E-ZPass group need to adopt consistent usage policies. If a majority of members don’t want to allow customer accounts to go negative, then the system should be set up to debit accounts more quickly. If a majority of members have true open road tolling without gates, then all agencies need to work to have open road tolling. Not every decision needs to be based on majority vote; in some cases an agency might want to try new technology. It’s long past time for toll roads to be truly interoperable. If the E-ZPass states cannot achieve interoperability, nationwide interoperability may be many years away. Earlier this week I read a provocative piece by Michael L. Sena, a well-informed commentator on autonomous vehicles and related topics. “Bicycles: Are They Good or Bad for Cities?” appears in the September 2018 issue of his newsletter, The Dispatcher. A cyclist himself, his concern is the safety of bicyclists (and increasingly, those using electric scooters) operating on streets in close proximity to cars, trucks, buses, and other bicycles. He notes that in the Netherlands, where more people ride bikes than drive, in 2017 there were slightly more fatalities among cyclists than motorists. Half of all the cyclist deaths were from colliding with a car; the rest were from colliding with another bike, a stationary object, or simply losing control. The organized U.S. bicycle community highlights the deaths and injuries to cyclists, and their answer is “complete streets” or better yet, “road diets” in which traffic lanes are removed to make room for protected bike lanes. And they have had some success in persuading legislators and state DOTs that the answer to bike fatalities is to restrict motor vehicles. This strikes me as an example of the cliché, if you have a hammer, every problem looks like a nail. Far more sensible is to do as researchers in Boulder, CO and others at the Center for Urban Transportation Research in Florida have done: analyze where and why bike/motor-vehicle collisions occur and fix those hot spots. Two growing problems are “distracted bicycling” and autonomous vehicles. Researchers observe that a growing share of cyclists are wearing headphones and/or steering with one hand while staring at a hand-held device—accidents waiting to happen. And autonomous vehicle researchers are finding that safely detecting cyclists is among the hardest problems facing those developing AV artificial intelligence. Several years ago when Florida DOT was aggressively promoting the addition of bike lanes to arterials and lesser streets, I asked a traffic engineer how he would solve the bike fatality problem. His not-for-quotation response was: “Separate them completely from traffic lanes.” By that he meant wherever possible develop bikeways that are not on major streets but make use of other rights of way, more like urban trails. That is what Broward County, Florida is doing. The Broward County Greenway, begun in 1999, is intended to be a 370-mile network of scenic bikeways, beginning with eight priority corridors as the backbone, and local additions done by individual cities. That’s a nice vision, but that Greenway network is a long way from completion. And that raises the question of who should pay for it. Oregon’s legislature last year enacted a $15 tax on new-bicycle purchases, and Colorado Springs has had a $4 tax on new bikes since 1988. Rep. Bill Shuster (R, PA), in his conceptual proposal for revamping the Highway Trust Fund, proposed a 10 percent tax on bicycle wheels of 26-inch diameter or larger, with the proceeds going into the HTF to help pay for the annual half a billion dollars in federal bike/ped funding. The National Infrastructure Financing Commission’s 2009 final report, Paying Our Way, discussed a bicycle-tire tax to help pay for federal bike funding, but did not include this in its recommendations. And in 2014 the Golden Gate Bridge Authority seriously considered imposing a modest toll on cyclists and pedestrians, but it did not go forward after the Legislature discussed banning such tolls. It turns out that from 1937 (the year it opened) until 1970, that bridge charged pedestrians and cyclists a toll, paid by coin at a turnstile at either end. If transportation policymakers are serious about (a) expanding walking and cycling and (b) reducing fatalities among those who do so, they should give serious consideration to fully separate bikeways and trails and to users-pay approaches to funding them. Transurban Team Pays $6.7 Billion for Sydney Toll Project. West Connex is an $11.8 billion toll road megaproject to connect existing tolled expressways into a more complete network. The New South Wales government funded initial portions of the project, but lacked the resources to do the whole thing that way. The competition to become the project’s subsequent developer/operator, via a 42-year concession, pitted two world-class teams, one led by toll developer/operator Transurban and the other by global infrastructure investor IFM Investors. On August 31st the government announced the Transurban team as the winner. The government will retain 49 percent ownership of Sydney Motorway Corporation and will use part of the $6.7 billion proceeds to pay for the M4-M5 link, the project’s final stage. Half the Major Truck Bottlenecks Worsened in Past Year. At the top five interchange bottlenecks in America, truck speeds decreased more than five percent over the past year. The worst bottleneck, I-285 at I-85 in Atlanta, had the slowest average truck speed during peak periods; number 2 rated I-95 at SR 4 in Fort Lee, NJ had the largest reduction in speed: over 8 percent. All 10 major bottlenecks are at urban interchanges on the Interstate system, suggesting the need for major redesign and reconstruction. Number 10-ranked I-65 at I-65/I-71 in Louisville actually had a 19 percent increase in peak-period speed, perhaps due to the opening last year of new toll bridges across the Ohio River. The data were released in June by the American Transportation Research Institute. Argentina Extends Toll Concessions in Return for New Investment. Toll road concession company Abertis has agreed to invest $680 million in two toll roads, in exchange for 12 more years in which it will continue to operate the highways. The two are (1) the 56 km Grupo Concessionario del Oreste and (2) the 96 km Autopistas del Sol. Public Works Financing reports that Abertis has recently reached similar agreements regarding toll concessions in Brazil, Chile, France, Italy, and Puerto Rico. Together, these agreements commit the company to investing $6.7 billion in the various toll roads. Miami-Dade County Picks BRT Instead of Metrorail Extension. In a politically charged decision on August 30th, the county’s Transportation Planning Organization (which includes all members of the County Commission), voted to build a bus rapid transit system on the existing South Miami-Dade Busway corridor. In the face of “We were promised rail” concerns from officials in the affected area, County Mayor Carlos Gimenez supported the $243 million BRT plan as far more affordable than the estimated $1.3 billion cost of extending the heavy-rail system along that 20-mile corridor. The busway corridor is one of six corridors planned for transit improvements, and with only $8 billion available for transit projects over the next 40 years, building six heavy-rail corridors in simply not possible. Fluor/ACS Team Wins Windsor-Detroit Toll Bridge Concession. The $3 billion Gordie Howe toll bridge across the Detroit River will be designed, built, financed, operated, and maintained by a team led by Fluor and ACS Infrastructure. The winner was announced in July. The six-lane bridge will be cable-stayed, with six lanes and a length of 2.5 km. Tolls will be charged by the Windsor-Detroit Bridge Authority, and the consortium will receive availability payments from the Authority over the life of the concession. The same team developed and is operating the $1 billion Herb Gray Parkway in Windsor, which will connect the new bridge to Canada’s Highway 401. On the U.S. side, the bridge will have a direct link to I-75 in Detroit. Only 16 States Permit Truck Platooning So Far, per CEI Report. According to a new report from the Competitive Enterprise Institute, 16 states have exempted truck platoons from some or all of their following-too-closely statutes and regulations. Of those 16, nine exempted platoons from the regulations “without unnecessary restrictions,” while the other seven still retained some controls. The most platoon-friendly states are mostly in the Southeast, including Texas, Kentucky, and North Carolina, but excluding Florida and Virginia. Israel to Add More Express Toll Lanes for Tel Aviv. The first express toll lane project in Israel (called “fast lanes” there) opened to traffic in 2011. It’s been successful enough that the government plans three more, all to serve Tel Aviv. The projects are done via toll-financed public-private partnerships (P3s), but with a difference. Each project must include a very large parking lot and provide free shuttle-bus service to downtown for those unwilling to pay a variably priced toll. The initial project averages 8,000 vehicles per day removed from Highway 1, thanks to the shuttle buses. Colorado Starting Construction on I-25 Gap Express Toll Lanes. Construction work will begin this month on the 18-mile I-25 corridor between Monument and Castle Rock. This is another component of the emerging network of ETLs in the metro Denver area, with segments in operation on more northerly portions of I-25, on US 36 between Denver and Boulder, and under way on both I-70 and C-470. The project’s expected cost is $350 million, and it’s scheduled for completion by 2021. Bestpass Announces Toll-by-Plate Program for Trailer Rental/Leasing Companies. To ensure that companies that rent or lease trailers get accurate billings when users operate them on toll facilities, Bestpass has launched a new service under which the leasing company can be billed based on the trailer’s license plate number. In turn, the Bestpass Rebilling service can assign the toll to the renter or lessee, for payment. The service is offered nationwide, for all toll facilities that offer toll-by-plate billing. Georgia Removes Cap on Express Toll Lane Pricing. As noted previously in this newsletter, government-imposed caps on how high variable toll rates can go have contributed to bottlenecks on express toll lanes in the Miami and Seattle metro areas. Last month Georgia’s State Road and Tollway Authority announced the elimination of its toll caps on the emerging network of ETLs in the Atlanta metro area. New ETLs open this month on I-75 and I-575 in the northwestern part of the area; the network will eventually encompass 120 miles. Tesla Electric Semi on Cross-Country Tour. The prototype of Tesla’s all-electric Class 8 truck visited customer Ruan Transport Corporation in Iowa, as a stop on a coast-to-coast tour this month. The Tesla Semi has an announced price of $180,000, compared with a typical $100,000 price for a Class 8 diesel truck. Tesla expects the initial cost difference will be recouped via lower operating and maintenance costs, but detailed numbers on that have not yet been released. Production is set to begin in 2019. Geographer’s Appreciation of Houston’s Approach to Land Use and Transportation. Urban geographer Joel Kotkin, a presidential fellow at Chapman University and executive director of the Center for Urban Opportunity, has published a provocative article arguing that the economic success of the Houston metro area stems from its very flexible land-use policies and the ongoing expansion of its transportation infrastructure. The article, “The Battle for Houston,” appears in the Manhattan Institute’s magazine, City Journal, and is also available online: https://www.city-journal.org/html/battle/houston/16113.html. Political Interference Threatens Toll Agency Bond Rating. 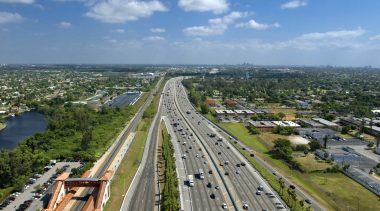 Last year Florida legislators passed a law requiring the Miami-Dade Expressway (MDX) Authority to cut its toll rates by 6.28 percent this year, undercutting its responsible policy of CPI-adjusted toll rates. It also mandated that at least 20 percent of MDX’s “surplus” toll revenue be given to the county government for transit projects near MDX toll roads. Fitch Ratings this summer responded by downgrading its outlook on senior MDX bonds from “stable” to “negative.” Fitch’s report argued that this “unprecedented intervention” raises concerns about MDX’s future capital expenditures, its ability to issue additional bonds, and even adequate reserves. Fitch said the actions “demonstrated lack of legal independent rate-setting authority,” which might well affect MDX’s hard-won A rating on its outstanding bonds. San Francisco Transbay Terminal Costing Toll Payers. CBS News in San Francisco last month posted an article in connection with the partial opening of the $2+ billion Transbay Terminal. The huge complex is intended as a transfer point for all the region’s bus lines, and later on rail lines BART, Muni, Caltrain, and (if it ever reaches San Francisco) the California High-Speed Rail. But connections for the rail projects are for a later, not-yet-funded phase. What exists now is a four-story bus terminal with a 5.4-acre rooftop garden and a projected operating budget of $20 million per year. Bay Area toll payers are on the hook for part of that: the Metropolitan Transportation Commission reports that toll payers are already subsidizing bus service at $1,576 per year for each rider on AC Transit, $2,536 per year for each rider on SamTrans, and $2,999 per year for each rider on the VTA light rail service. Brightline Phase 2 Private Activity Bonds Approved. Florida’s privately developed Brightline “higher-speed” passenger rail service won approval on August 31st for $1.75 billion of tax-exempt Private Activity Bonds (PABs) for Phase 2 of the project, extending the system northward to Orlando. Contrary to a news article in the Miami Herald, PABs are revenue bonds, backed solely by the revenues produced by the project (as in the case of P3 toll roads). There is no risk to taxpayers should the project under-perform; bond buyers accept that risk. Correction re Texas Toll Road. Last month’s issue misidentified the location of the SH 360 toll road. It is located in the Dallas/Fort Worth metro area, not in the Austin area.